The first in the Come Quilt With Me tutorials… Squares! 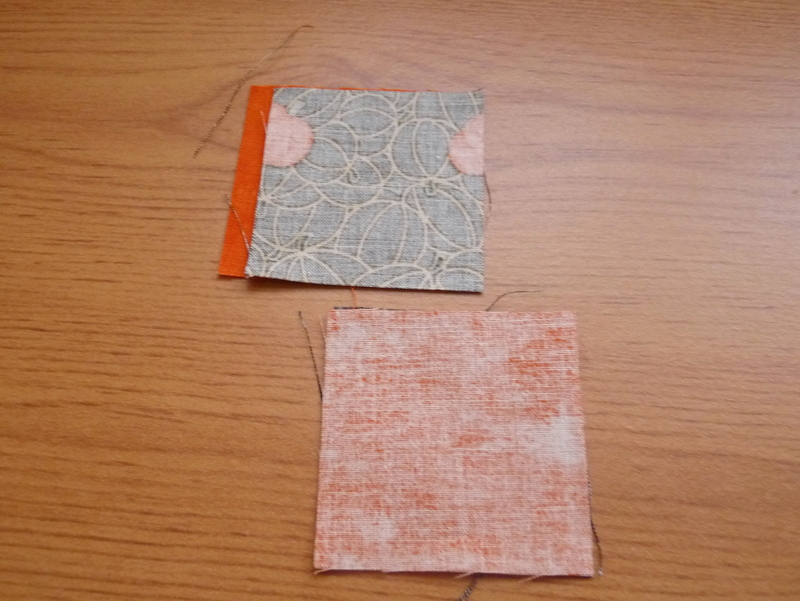 If you are new to sewing or patchwork, squares tend to be the easiest thing to start with. A nice simple shape to help you get to grips with seam allowances and matching points. The tricky part is choosing which fabric??? 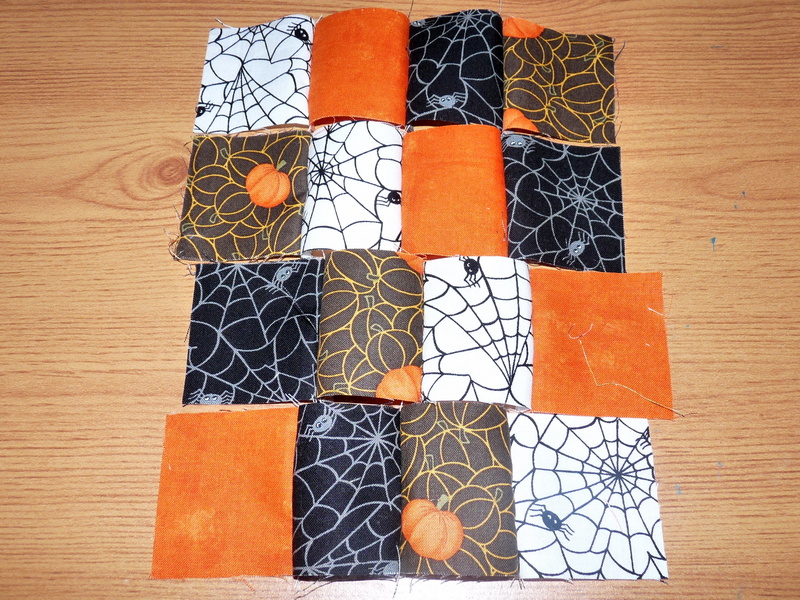 Above is a pile of 2.5″ squares as it’s October I thought why not do a Halloween theme. You can either cut this out by hand with scissors (recommend drawing a cardboard template to help you first) or with a ruler and rotary cutter. With the latter i tend to cut strips in the desired width first then do bulk chopping of the length. 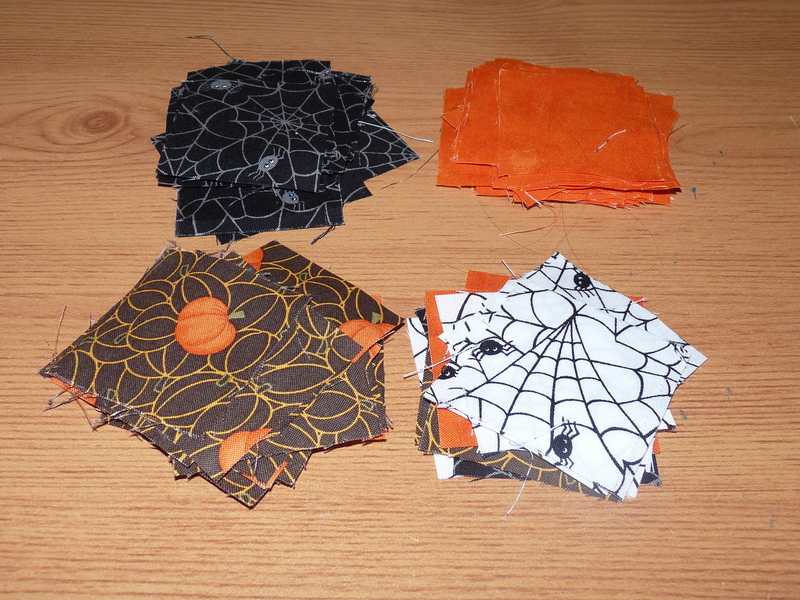 Then it’s laying them out in your desired pattern. Here I’m doing two panels of 4 x 4 squares. Once you are happy you can start. Once your rows are done press the seams. Usually you press the seam to either the left or the right side. 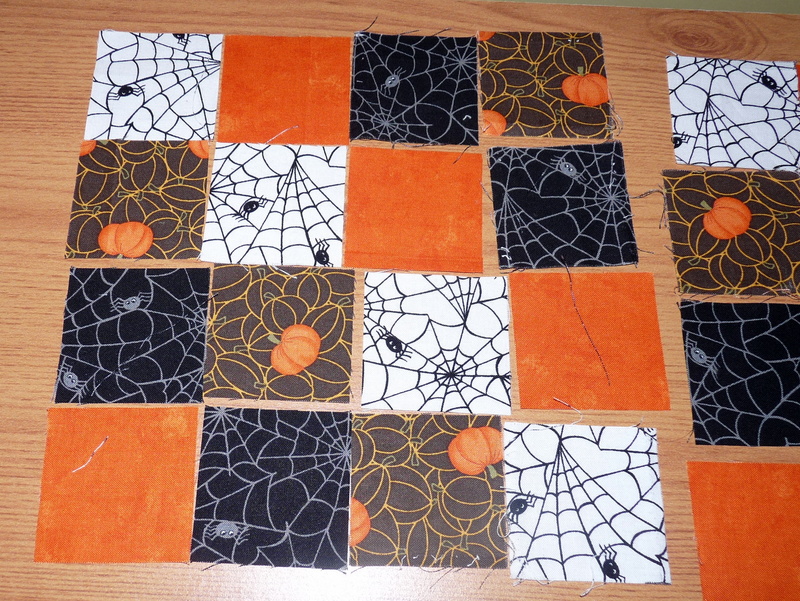 To help with matching up the squares, alternate on each row which side you press. 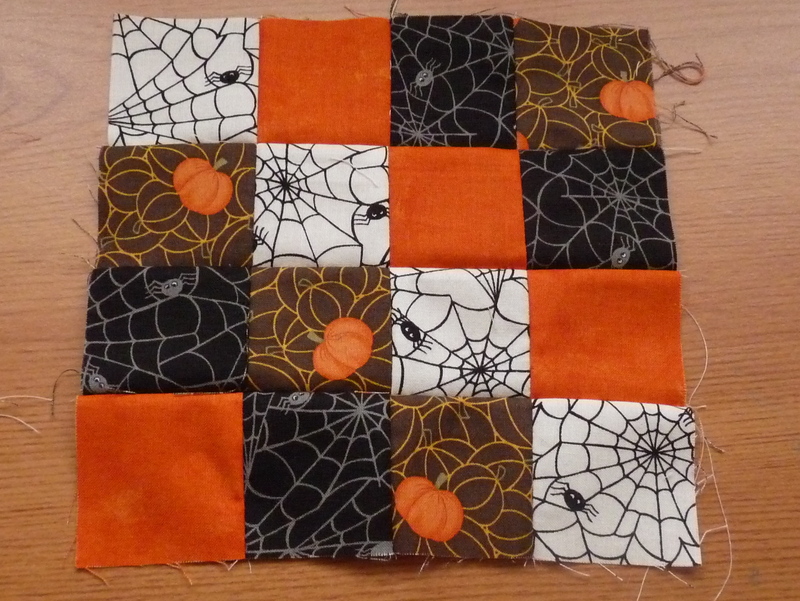 NB- when you are doing blocks and different designs you will usually press the seam to the dark side of the fabric so it will show less but doing it consistently here will help for better matching of your squares. 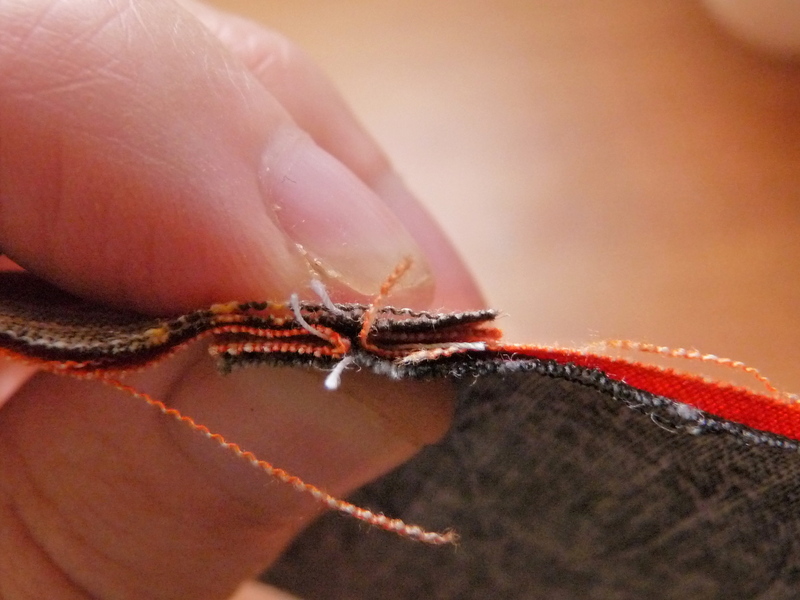 As you’ve alternated the seams on your rows it should line up when you start to sew them. 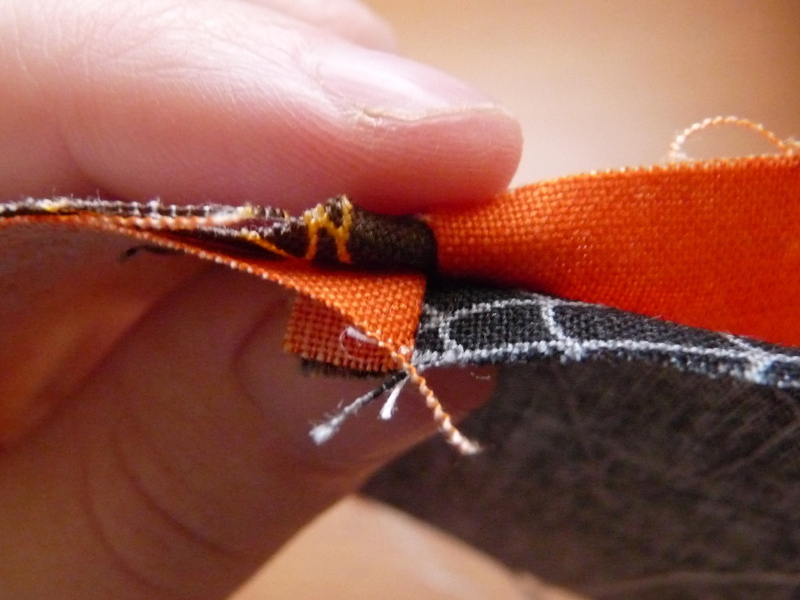 If you wiggle them into place so each seam lies side by side (as in the picture above) your points will match perfectly. This is called a “nested seam”. Pin or clip in place and match up the rest. If you are still worried they won’t align gently lift the open side up to see where your squares will fall. Once you are done voila- perfectly matched points on your squares.